Some students have inadvertently been left out, so there may be an updated version coming. If so, I'll replace this version. 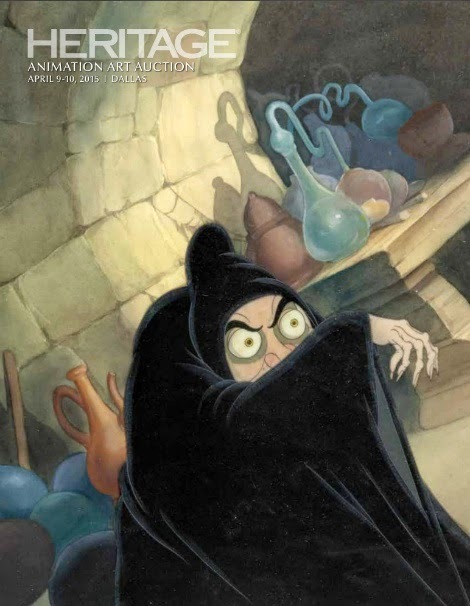 Heritage is running an animation art auction and you can see the complete, illustrated catalog here. The art that is in this catalog is increasingly limited to the nostalgia market. People growing up now will see this material as old fashioned and they don't have equivalent art to buy from the shows they grew up watching. There was a time when animation art auctions were common, but since the field has gone digital, whether 2D or 3D, there is no longer any original art to sell. The art that goes into pre-production is generally now available in the books that seem to accompany every animated release. However, the animation business has lost a revenue stream and they seem to have lost interest in the high end collectibles market. I don't follow the collectibles market closely, but is Disney still putting out limited editions and expensive pieces? With DreamWorks diversifying and looking for revenue wherever it can, I'm surprised that they haven't tried to develop this market. With cgi and 3D printing, I can see a market for turning out limited edition figurines that are actual poses from films. The characters from the How to Train Your Dragon films seem a natural for this. It will be interesting to see if animation art returns to being a small, esoteric piece of the art market or if studios figure out a way to get back into it in a big way. If it remains a nostalgia item, it will eventually have its customer base die off. 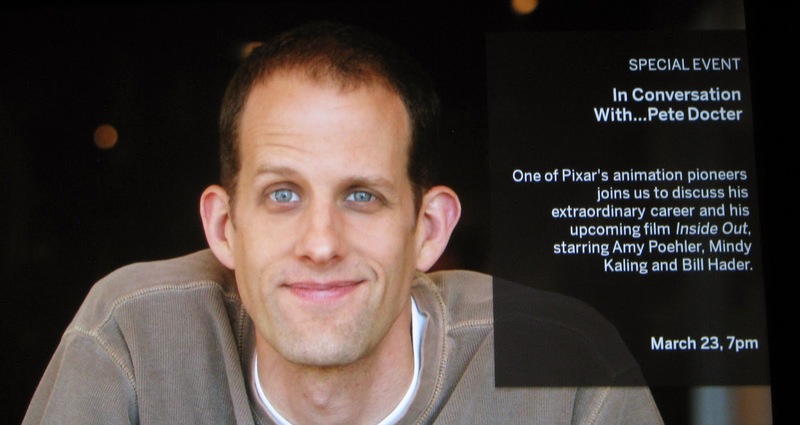 Pete Docter was at the TIFF Bell Lightbox on Monday, March 23, starting the publicity rounds for his next film Inside Out. He was interviewed on stage by film critic Richard Crouse in front of a sold out audience. Crouse took Docter through his career and asked some very naive questions about animation, but Docter handled himself well. At the end of the session, the opening to Inside Out was screened. It is unquestionably a Pixar film in design and tone and it has the strong emotional core of Docter's earlier films. This was followed by Docter introducing a screening of Up. On Tuesday, Docter appeared on Q, the CBC radio arts program. He covered much of the same material as he did with Crouse, and you can listen to the segment here. 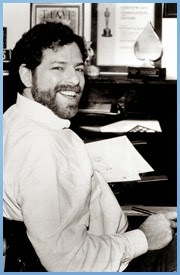 Journalist and animation historian Thad Komorowski put together a segment on Michael Sporn for the WBGO Journal on March 6. It includes short interviews with animators John Canemaker, Ray Kosarin, actress and Michael's widow Heide Stallings and a brief quote from me. Michael has been gone more than a year now, and I still find myself missing him every time I see a new film or hear a new bit of industry news. Michael's views were always interesting and hearing them often sharpened my own views. Had he lived, I'm sure right now I'd be hearing stories about the production of his first feature based on Edgar Allen Poe's life and stories.